This advertisement for a cruise comes from the June 1929 issue of The Etude, a music magazine that was published from 1883 to 1957. For just $79.50, a traveler would receive meals and berth for a seven-day cruise on four Great Lakes and Georgian Bay. 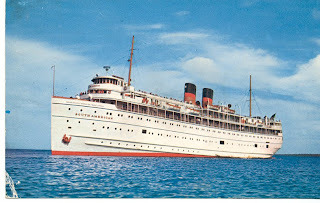 The cruises were offered by the Chicago, Duluth & Georgian Bay Transit Company (better known as the Georgian Bay Line). Using my favorite toy this week, the inflation calculator, we find that something that cost $79.50 in 1929 would have an equivalent cost of $986.57 in 2009. So was the 1929 cruise a good value? By my very quick assessment1, it definitely was. In 1929, this seven-day, 2,000-mile cruise took its passengers to four Great Lakes, Georgian Bay, Mackinac Island2, Parry Sound and Niagara Falls. Meanwhile, I checked out the website for the Great Lakes Cruise Company and the closest comparison cruise I could find is "Magical Lake Michigan", a seven-night trip that starts in Chicago and visits Holland (Michigan), Beaver Island, Sault Ste. Marie (Michigan), Mackinac Island, Sturgeon Bay and Milwaukee.3 The lowest available price for this cruise is $2,379. So yes, the $79.50 cruise in 1929 ($986.57 in 2009 dollars) appears to have been a nice bargain, if everything was as advertised. Other thoughts and notes from the 1929 ad in The Etude. Descriptions You Won't See Today, Part I: Niagara Falls described as "the world's greatest cataract." 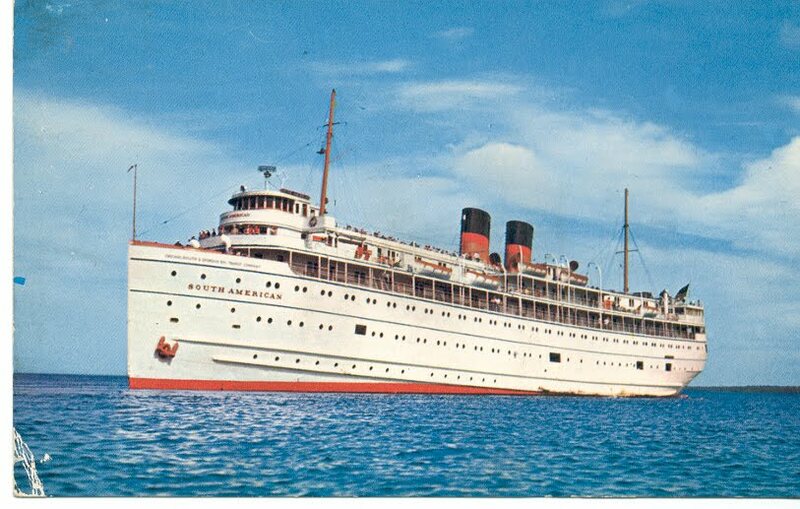 Descriptions You Won't See Today, Part II: Cruise ships described, with pride, as "big oil-burning4 white liners." 1. I'm not a travel agent, and I don't play one on TV. 2. Mackinac Island is the setting for the 1980 movie "Somewhere in Time" starring Christopher Reeve and Jane Seymour. 3. I'm not sure whether there are any regular cruises from Chicago to Niagara Falls any more. In my quick Google research, no obvious cruises taking that route jumped out at me. I did, however, find this interesting related column on Straight Dope Chicago. 4. Modern cruise ships, by the way, average about one gallon of bunker fuel burned for every 30 to 60 feet traveled at cruising speed.